News / Planning / A new beginning for St Kilda's Novotel? The Latin expression 'De Novo' is generally understood to mean 'a new beginning' or 'starting afresh' and while not the name of the proposed development at 14-16 The Esplanade, it's quite an apt description as it ushers in a new era for the highly recognisable bayside site. The four-star Novotel St Kilda situated over 5,800sqm is subject to a current planning application which would do away with the predominantly precast structure in favour of hundreds of dwellings. Designed by local firm Metier3, the 7-storey, 300 apartment development marks Sydney firm Barana Group's first foray into the Melbourne residential market given they own the existing hotel. According to a 2014 AFR article Novotel will likely continue to operate for some years yet due to Accor's existing management agreement, so the development is very much a long term prospect. Regardless a planning application has been lodged with City of Port Phillip with plans available for public perusal over the new year period. Address the conservation of heritage fabric, augmentation of the formal design, enhancement of interpretive values and views, improvements to amenity, provision of additional, coordinated seating and shelter, and replacement of aging surface materials of Alfred Square. The site has seen a numerous entertainment-based uses over the course of almost a century with the first building to open on the site being the Wattle Path Dance Saloon and Café. 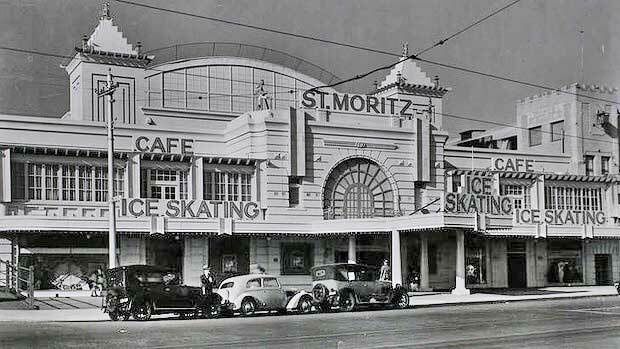 It later played host to Melbourne's most famous ice skating rink, St Moritz between 1939 and 1981, becoming enormously popular during the war years and accommodating up to 2,000 people on its 1,850sqm ice rink. Following its closure the complex succumbed to fire during 1984, which is not unusual for buildings in St Kilda...or so it would seem. The St Moritz Bar at Medibank IceHouse in is named in honour of the famous rink. The St Moritz hotel was then developed onsite during the early 1990's before being renamed as Novotel ­Bayside upon Accor taking over the venue, only to assume the current Novotel Melbourne, St Kilda thereafter. The proposal seeks to create a stronger edge and definition to Alfred Square and The Esplanade by occupying the full extent of the site. There exists the risk that the development will read as a great big wall, due to the articulation of the form and consistent height of both buildings. 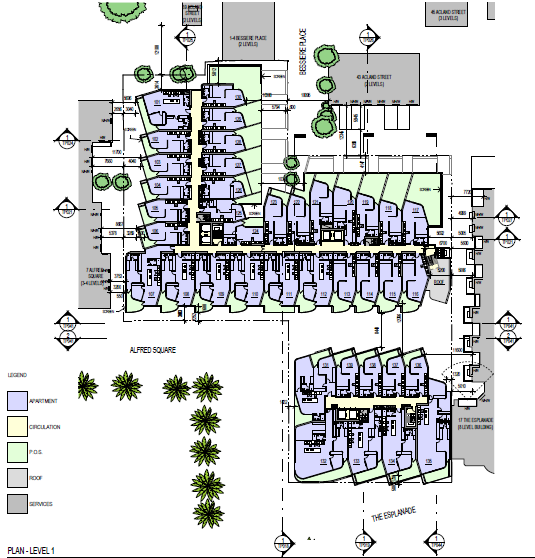 Further division of the proposals form via the introduction of a north-south site link, thus creating three buildings, would provide some variation to the height of each building and go some way to alleviating the potential perception of uniform bulk. Additionally while the three buildings could be treated as a 'family' with a variation of the modular facade, a shared DNA that while similar offers a point of difference for each building. Overall the proposal breathes new life into a site that while prominent does not fulfill its true potential as a cornerstone of the St Kilda foreshore. 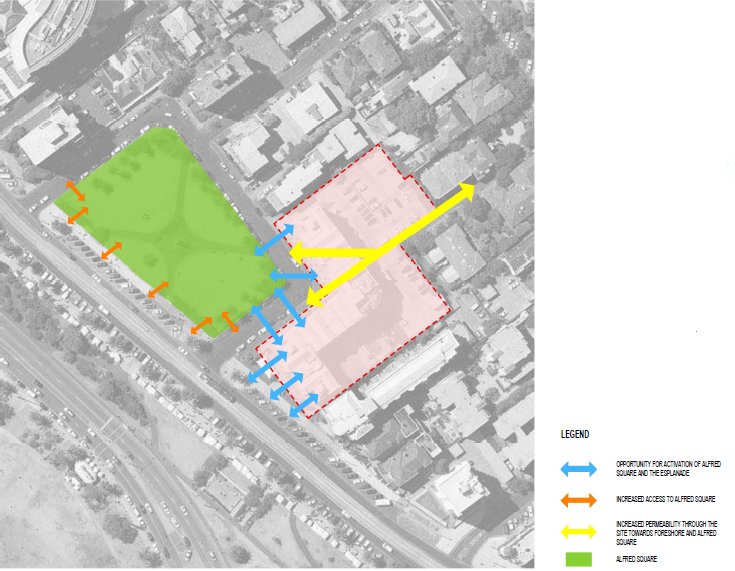 It will certainly be interesting to see how the greater community responds to the development plans, could it be another St Kilda Triangle episode?